If you have wooden furniture or floors, especially those that are outdoors, you will need to treat the wood to protect it from moisture and deterioration and to prolong its lifespan. Natural oils are a popular choice to do this, but how do you decide between danish oil vs tung oil? In this article, we will be explaining what happens when you treat wood, and the benefits of tung oil and danish oil when doing so. Why Does Wood Need Treating? Wood is a great material to use when making furniture, flooring, and a range of other things, but because of the fact it is a natural substance, it requires treatment to prolong its lifespan and keep it looking vibrant and fresh like the day you got it. Rotting and Fungus – This causes the wood to turn black, break down and start to fall apart. It often happens in areas where there is a high humidity and starts when the wood contains too much moisture and becomes an ideal environment for fungus to grow. Insect Infestation – Wood is a natural food source for insects like termites and beetles. They eat the wood and burrow deep within it, which weakens the structural integrity and can cause it to break. Natural Degradation – Wood wears down naturally when exposed to the environment. Things like UV light, changing the climate, and pollution can cause the wood to darken and begin to split over time. The purpose of treating wood is to stop these processes from happening and, therefore, make it last much longer than it would do otherwise. There are some types of wood that are more resilient than others, but even if it doesn’t rot it will be vulnerable to other potential problems. So, no matter what type you are using, you need to treat it. Preservative Treatment – Designed for use on types of wood without any natural resistance, preservative treatment involves pressure treating or core treating the wood to protect it against insects and fungus. It is applied using dipping, injection or steaming, but won’t prevent the wood from darkening over time. Protective Treatment – These types of treatment are added onto the surface of the wood, and may also soak into the top layers. This means these types of treatment can waterproof the wood to prevent moisture build-up, prevent insects from burrowing, and protect against UV rays. This is the category that most treatments fall into, whether they be varnishes, paints, coating, or oils. Personally, I prefer using oils to treat wood because they are natural products and, while protecting the products, brings out wonderfully warm colours that look great all year round. While it is waterproof, it still allows the wood to breathe so it stays healthy. Sometimes it is tricky to predict how the colour of the wood will change, so you will need to test it first to ensure you will get the required effect. Tung oil has been used for hundreds of years in China to protect the wood and it was what they used to protect the hulls of their ships. It is made by squeezing the oil out of the nuts of the tung tree and is a 100% natural product. The benefit of tung oil is that it is completely non-toxic. It can be used on a wide range of woods, it’s simple to apply, and it produces a hard and easily maintained finish. It’s also the favourite treatment to use because of the way it pulls a glorious colour out of the wood. 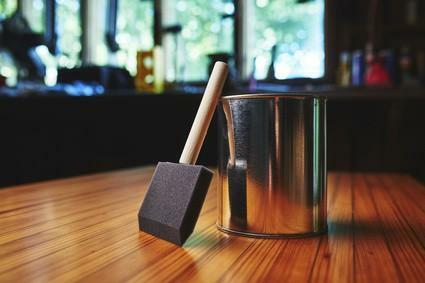 Most people prefer to use tung oil over Danish oil because of the superior coloured finish that it produces. This depends on what you are looking to achieve, though, but the fact that tung oil is a completely natural product whereas Danish oil is a mixture of different elements (including tung oil) means that tung oil is the best choice if you are looking for a pure, natural treatment. Wood is such a great material to work with, both for its versatility, and the way it looks, but to look after any wooden product, you will need to treat it properly to keep moisture and insects away. When choosing between danish oil vs tung oil for this process you must decide what final colour you want the wood to turn out like. Both provide good protection against the risks, but with tung oil being a more natural and pure product, it’s the favourite of many people who regularly work with wood.